SENRAN KAGURA Burst Re:Newal Waifu Wars! 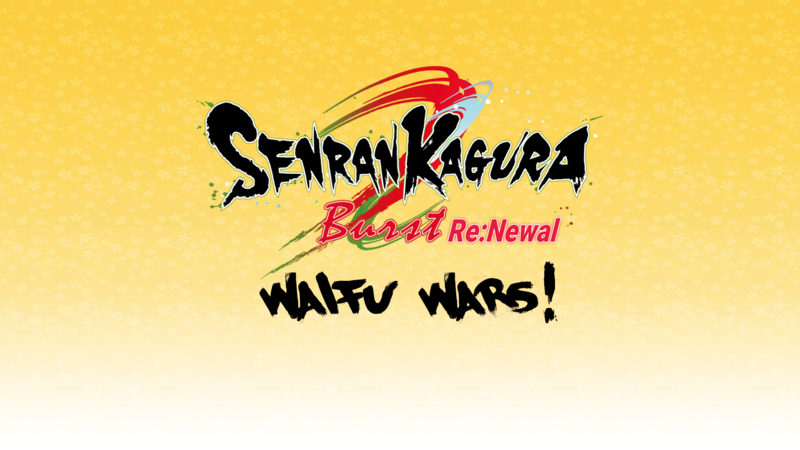 Welcome to the first-ever SENRAN KAGURA Burst Re:Newal Waifu Wars, hosted by XSEED! It’s an age-old question: “Who is best girl?” Will it be Yumi, with her ice-cold glance? The brash, meat-loving swordsmistress Homura? Will Yomi score a victory for bean sprouts everywhere? It’s about time we finally put the debate to rest…for now. How will we do it, you ask? We’re putting it to a vote amongst all the girls’ fans. That means you! We’re even giving away prizes to random fans who can guess which girls will win! Update: The final votes are in, you voted Rin as best girl! Check back for exclusive SENRAN KAGURA Burst Re:Newal Waifu War wallpaper. Starting today, you can vote for your favorite girl in each group or school. Polls will close on Friday the 25th at 3 P.M. PDT, and Week 1 winners will be announced on our stream that day, at 5 P.M. PDT. After you vote, be sure to post on social media which two girls from each group you think will place first and second, using the hashtag #SENRANKAGURAWaifuWars. We will randomly choose fans who scored the most correct predictions to win some epic physical SENRAN KAGURA prizes. As a bonus to everyone who voted, we’ll release a new wallpaper featuring the winning girls! From there, each school or group’s champion will join a battle royale the title of “Best girl!” You’ll have one final chance to guess who will win and earn the grand prize! Final voting will take place on January 28th, and winners will be announced Feb 1st! Join the fight for your waifu’s honor, and best of luck to everyone!